* Footer ads fixed and overflow ads will be scroll. Hello! My business has multiple domains, same product, similar web design, different locations. I would like to use the same theme for every site. Can i use a Regular License for multiple domains of the same business, or is it a new license for every domain? Thanks ! Yes you can use it, currently we are not proving any developer license may be in near future until use this also. Sharing or resell are not allow it’s against license term. @Sandy so i can use this theme for multiple domains that i own, but how do you know that was not a share? I wanna buy this theme and also i want to know if this theme has regular updates in line with wordpress. After a purchase we provide you pro version of theme files whenever new version available I send email to users but if you missed check on this page in change log mention here match with your version. Also you can request anytime update if you found issue or need some upgrade. Some time I’ll not know that someone share our work as a developer we never want lost our hard work. Hi there, this is a pre purchase question. What exactly is the different b/n the free version offered on WordPress and the pro version offered here on your site? Is it just the update and support or the pro version comes with additional features as well? Please disregard my questions. I already got the answers in your price option table. No problem solomon, hope you like these features. Yes, if anything needed into theme or any suggest, We’ll implement it for you any time and some more features you gets. we already written on page about some features. Hi ujjwal, While moving post data from blogger or any other platform some times thumbnail not automatically generated you need set them from post editor. Use set as featured image and thumbnail will appear. i feel the problem in mobile version. web version is perfect but it’s not responsive in mobile device. Mobile version does not work on free version of theme please upgrade to pro and access to all theme features. Yes that’s easy task in premium version you just need to change a little code for this. If you are pro user let me know website. Hi, I want to buy the theme but first I want to know if you can personally help me do the customization that wolfman is also asking. Please I really like your theme but I can’t customize themes. I have purchased premium version of the theme but I’m still unable to change the width of images. I want to show 4 thumbnails per row on home page. Please tell me How do I create a child theme for Promax theme? I tried to create child theme using “One click child theme & Child theme configurator but all was waste. Thanks for an early reply. I have one more question for you, please reply as soon as possible. I will also send this question via your contact us page to you. The question is – How do I decrease the size of post thumbnails’s box??? Thanks for your support, I have easily optimized my site design with your theme and your quick support. 1. Theme design is not responsive on mobile devices, post thumbnails height is too much stretching in portrait mode and to much stretching in width if I turns my mobile into landscape mode. I have tried mobile responsive design option enabled, but there are no improvements. 3. How to decrease the height of website’ header area? Thanks for updating the theme! 1. Post block height is not decreasing, it’s only increasing. I want to decrease the height of post block and want to show only two lines of post titles with current image height. 2. Mobile Menu ‘Category’ is appearing on desktop site, I don’t want to show it on desktop site. Please help me to fix the above issues. There are a little one issue with the theme – Distance between post thumbnail image and post title is excess. Please tell me How do I decrease the distance between post thumbnail image and post title??? Thanks for your great theme, this is great and search engine friendly, I got higher search engine ranking after set your theme on my site now I want to set it on my other movie website http://hdwale.com because setting up your theme is very easy. Please tell me can I set already purchased theme on my second movie download site? Hi, I really want to purchase the theme but want to know if you can help me on a very very minor customization just like wolfman is asking. I have difficulty trusting to get online freelancer so I am hesitating because they might insert malicious code, so maybe the developers can help me, its really a very minor customization. Please let me know 🙂 Thank you so much! and also make it 4 columns instead of 3 like on the demo. I had searched for a wp theme for months and I finally found a theme that fits perfectly my needs. When you purchased theme email me and I’ll implement option for 3 to 4 column. I see some sites that uses promax that are stretched in width , I want it box type with smaller width can I easily enable/disable it it promax theme? Yes, site may be using free version of theme. But there is option in pro you can control design. Can you help me change the overall color of the website? and each post on the homepage should only show the title and year in smaller font and with bigger picture? Pro theme have ability to change color. For big picture and small date please show me how you want it. is that easy? or will you charge extra? No I’ll not charge you and it’s not so easy but I will do it for you. how long would it take once I purchased the theme? hi, i purchased max pro premium theme… i want 4 column layout and some other changes …. 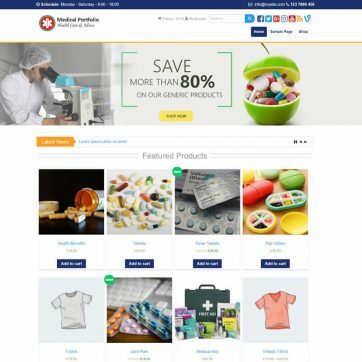 You can also choose layout from theme option for 4 column style, Please contact us https://www.insertcart.com/contact-us and provide your website and other details. Replied to your old mail again please check. Hi sandy, I’am using your free theme(ProMax MultiPurpose) just for demo purpose and it was not at all compatible with my phone.Do you sujjest why this problem is being arising? Only pro version of promax is responsive mobile design free version is only basic test and use. everytime I try to activate this promax theme, it breaks my site, I uninstalled the free theme first then upload this and activate still the same results, what am I missing? If you are using pro version of file then please re-download version 3.2.6, and try to upload again, Contact us if there is any issue. Yes , if you need pagination we can implement that please email us your website after purchasing. Hello there guys!, i want to buy the theme, just one question , If i want to customize two columns blog posts appeareance on Mobile devices just like this page: genial.guru instead of one that you show up, would you guys help me do that in the premium version? thank you. Hi, in the demo version its showing 3 colums of latest posts right ? Is it possible to limit to 2 colums ? Yes, There is option in theme option where you can increase or decrease numbers of post blocks. hi when i set up The pro theme pro i have awhite page in my wepsite what is the proplem + the theme is only 1.28 mega is it right? If there is any issue into theme please contact us. It seems you are using free version ? I have purhchased your theme that is SocaillyViral. Now want to set it permanently even when I update your theme…. https://hdbabu.com/ Site look will be same all time… How can I do that??? I don’t see you have activated our theme, Please download theme from your account at website then upload it to your dashboard read promax documentation for how to do that, otherwise contact us via email form with website detail we will do setup for you. Olá eu comprei este tema Premium há alguns anos, e não sabia que posso usar para site de filmes, como eu faço para fazer estas mudanças? eu uso ele em site de videos adultos, mas tenho um outro site de filmes, e gostaria muito de usar ele para o novo site. Como eu faço isto. how can in use the same theme for multiple websites.. plz let me know..
Hi, I’m trying to customize one columns blog posts appeareance on Mobile devices in the mobile version of my page: http://leidersonderwijsinnovatie.hu.nl instead of two columns that you show up, would you guys help me do that? I have the promax multipurpose version. Hi, I’ve been using ProMax for a while. After last update, the right sidebar stopped working properly. 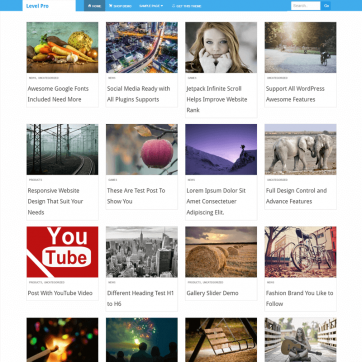 I have tried to reinstall the theme, wordpress 4.8 and even restarted Apache. Still not working. The problems are: Categories widget shows its title as “Categories” instead of “Cat” as I put in. Also, its three options (show counts, show hierarchy) don’t work. All widgets don’t show titles correctly. Some not showing any titles, some showing its name instead of its title. Some widgets totally don’t work. FYI, I didn’t change any code of this theme. Thanks. This theme allows users to modify many things. But, I’ll be very glad if it can give me the user interface like https://fuckworld.xyz/big-hero-6-2014-hindi-dubbed-download-in-hd-480p-400mb/ this website. Can this be possible using promax? There is no need of any user interface to post like this you can easily do that with ProMax Pro theme. I want to change my online mag them to Promax but the information doesn’t convert easily into theme and I’m not sure how to do it since I already have blog posts. Don’t worry there will be no data or post loss while changing theme to promax if you are not sure let us know, we well do it for you. This is my website & I need tremendous help, I have swapped to ProMax but I don’t know how to get my blog posts my home page set up like your image in 3 columns across and I do not want update blog posts in side bar.. I don’t know how to retrieve them a all really. The website is http://yourmoneydesign.com/ & I don’t know how to directly contact you for help. after purchasing this theme my post thumbnail is blurry why????? I might be because previously you are using small size of image which are already generated, Please use Regenerate Thumbnail plugin or upload image again and set them featured image. When I activate Promaxpro theme the site is perfect. When I activate my Child theme the site is shown as if I used a mobile device instead of a computer (one column, huge images). This is not my first child theme experience and I’ve never had problems before at this stage. What am I doing wrong? May be you are missing any css file. There’s something wrong with it, I guess. Yes, It’s possible to have thumbnail like this, just needed some changes. I have a question before I buy. I am looking at the light blue color in the free version, will I be able to change that color with the pro version? Hello, is it possible to remove the second top navigation? This way it is double, Thank you! I wants to know Whether I have to pay You something extra or I only have to purchase the theme from insercart and you will provide the customization’s for free. Let me know about this as soon as possible bro. Replied you your email as well. There is a margin next to the image. I want to display images with all the widths. Even if the image size was increased, it was not improved. Use regenerate thumbnail plugin and run it from Dashboard > Tool. It will fix image size issue. I have a multi language site and wish to have the home button link to a different home depending on what language version is being viewed. How can I do this? I see in the function file class=”home-icon” but how can I list a filter per language to send the user to a different home? If you want to purchase just simply click on Get this theme and buy theme from diff. payment options Let me know if you have any issue ? I purchased the pro version of your theme. Please tell me one thing that I have purchased a new domain and I want to use this theme because of fast loading time and it’s performance. So can I go with this theme. and the site is not a movie site instead of I have created the hosting website i.e. https://tellmehost.com/.